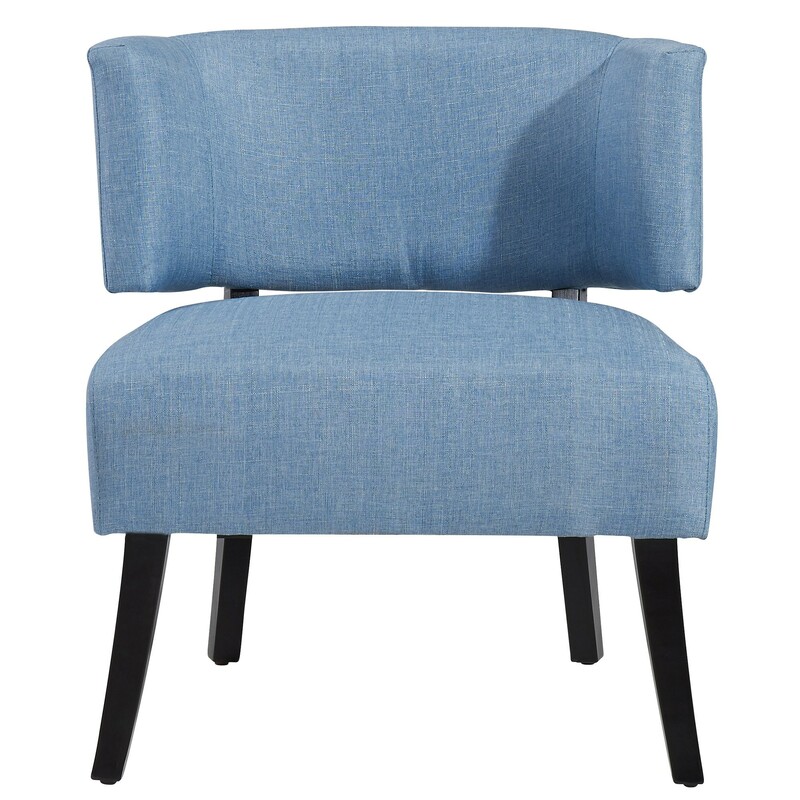 The Nassau Blue chair features a stylish contemporary design with a full size seat and fashionable curved back for added comfort. Constructed with a solid wood frame with a foam and spring seat in a coffee colour. Durable fabric adds to the comfort of this chair. A great fit in a formal or casual living space, as well as a bedroom. 28" x 27" x 31"